The WildCard Battle is up and running! It’s a tight race for first right now, to determine who gets that last spot in the Championship Battle! Looking for help with promotion? MuzicNotez PRO gives the power back to you, the musician. 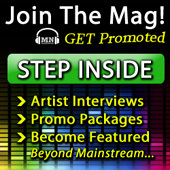 We know how hard you work to create your music, we work just as hard to promote your music. At the same time, we know a lot of independent musicians have a low promotional budget. So we created a system to empower musicians to have elite promotional tools in all of the most important phases of the game at a price that fits ANY budget.